For anyone trying to run a movie theater, you’ll likely have noticed the various logistical challenges that exist in setting one up. Most people find this to be a significant problem in their business, and it can become a source of extreme frustration as time goes, especially for your customers. To help you get around that problem, though, it helps to know how a typical movie ticketing system works. When used in the correct manner, a cinema booking system can offer an effective and easy solution to making the most of such a system. Well, for one, it should be a system that helps you to improve ease of customer use, self-service and also improve customer satisfaction. They’ll feel it’s easier to arrange their own tickets and needs rather than wait in large queues and maybe miss out on what they were hoping for in the first place. At the same time, though, movie ticketing system is well appreciated by people as they offer an easy, cloud-based alternative compared to the traditional manual way of purchasing tickets. This means that the systems are not dependent on anything going on at your end, other than the hardware being operational. It means that everything from the data being shown to the processing of payments can all be handled at any place, anytime, thanks to the cloud-based nature of most cinema booking system. This is a major revolution, and something that can make it much easier for your business to progress and improve at the right level. Also, it can help to support to provide access to many payment points. Rather than having to have lots of full-time staff who are working the dockets to get people served, you can let it all be operated through a machine. That is much safer and easier than a typical movie ticketing system that would require manpower and more time to get through all of the tickets that need to be sold. It’s for this reason, then, that many cinema booking system is being put to good use. They also allow for full mobile interaction, so people can order their tickets en route to the cinema rather than need to hang around and wait for the tickets in line, perhaps even miss the movie that they came to see. When people are short on time and options, they like the cinema to cater to them. 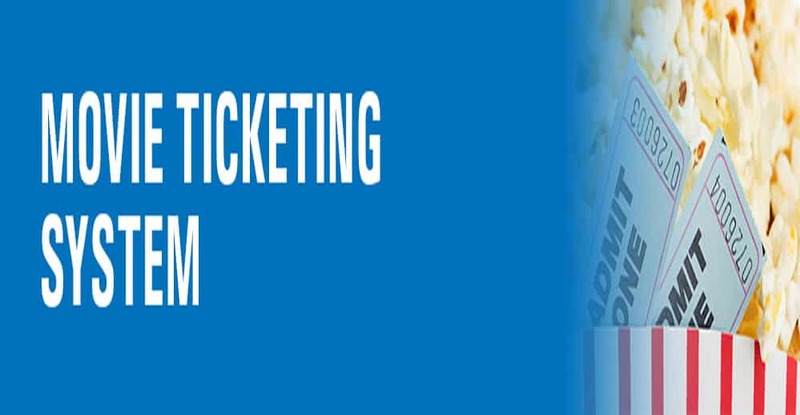 With the right movie ticketing system, you can make sure that your business is getting all the help it needs in taking the right step forward logistically. Any business in the modern industry should be expected to deliver a level of technological superiority and simplicity. Users today are far more tech savvy than they once were, and can be trusted to manage the purchase of things like their own movie tickets without assistance being needed. So, reduce costs and improve performance within your movie hub or cinema with the help of a movie ticketing system. Looking for a quality cinema booking system that gets the job done? Then, the movie ticketing system by Quadrant Alpha could be just what you are looking for – a sleek, stylish solution for making ticketing purchases a piece of cake.